The Booz Allen Hamilton commercial consulting partners decided to make a clean break from the staff augmentation government business, and all they had to give up was the Allen & Hamilton name and take an 8-figure payout/partner courtesy of Carlyle. I remember hearing about the "One Firm Evolution" when they came to my school for MBA recruiting back in 2005. Note to self: when an "initiative" fails, relabel it an "evolution" and begin planning for the opposite to occur. Technically the firm name is Booz & Company, which provides a nice sounding "Booz-and-company" or "Booz-n-company." Saying it more quickly out loud, it sounds more like "boozing company." I applaud the name. What other strategy consulting firm actually faces up to binge drinking habits in its name? Step 1 is admitting that they have a problem. I won't judge the logo design itself, since I haven't done enough blow had the expertise that they surely did. 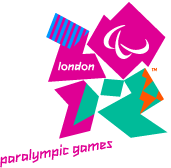 But my sources indicate that Wolff Olins did the brand, who are the same people who did the 2012 London Olympics seizure-inducing logo.